Amore 2710 Frost Pueblo 3'3" x 5'3". 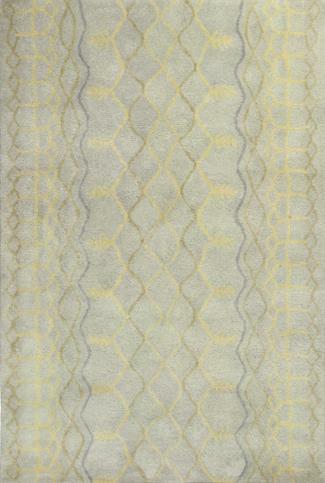 Hand-Tufted of 100% Hand-Spun Imported Italian Wool with Cotton Backing. Made in India. Shag rugs have long yarns so they should only be vacuumed with a hand attachment. Spills should be immediately blotted, cleaned and dried thoroughly. Moisture will cause shag rugs to attract dirt and matte. Professional cleaning recommended periodically.